Was Donna Lass a Zodiac victim? Was the 'Peek Through the Pines' card a clue to Lass' disappearance? Donna Ann Lass (born November 3, 1944-c.1970) was a nurse who went missing in September 1970. Donna Lass was the daughter of James P. Lass (August 28, 1897 – March 30, 1973) and of Frances Mary (Kukar) Lass (November 24, 1900 – August 5, 1982). Her father had been a farmer in the area of Beresford, South Dakota, and she was a 1962 graduate of Beresford High School. She moved to the area of South Lake Tahoe, California in May 1970. Donna Lass worked as a nurse at the Sahara Tahoe resort casino in Stateline, Nevada. On September 6, 1970, she signed her last entry in her log book at 1:50 a.m. She was never seen leaving the Sahara, however her car was found at her apartment complex at Stateline. Lass, then 25, was never seen again. The next day, Lass's landlord and employer both received calls from a man who told them that Lass was ill and had left because of a family emergency. The call proved to be a hoax. A month later, a paste-up postcard was received by the San Francisco Chronicle, hinting that Lass's disappearance was connected to the Zodiac Killer. Six months later, on March 22, 1971, another paste-up postcard was received by the San Francisco Chronicle, the San Francisco Examiner, and the San Francisco Times. No evidence was ever uncovered to connect Donna Lass's disappearance with the Zodiac Killer. Former OD officer Lynden Lafferty was investigating the Donna Lass missing file case and he ended up digging where he thought her body would be from clues of this Pines card but his search tuened up empty. I think he was on the right track but maybe was digging in the wrong place. I think if they dug the area there in 1 mile radius in each direction then they would find her remains but that is just a guess or theory I have. EDIT: Look at the one and only comment on the youtube video, it is by Zeppelin196818 and it says "Oh,he was found, and he is on my site." What an idiot. That's the guy who thinks that the Harden's (who solved the 408 cipher) were responsible for the Zodiac crimes. I really hate when people claim they know who the zodiac is/was as opposed to saying "I THINK that I know who the zodiac is/was." You don't KNOW who the killer is. Anyone who does or did is either dead or not talking about it. what does the sierra club have to do with it? 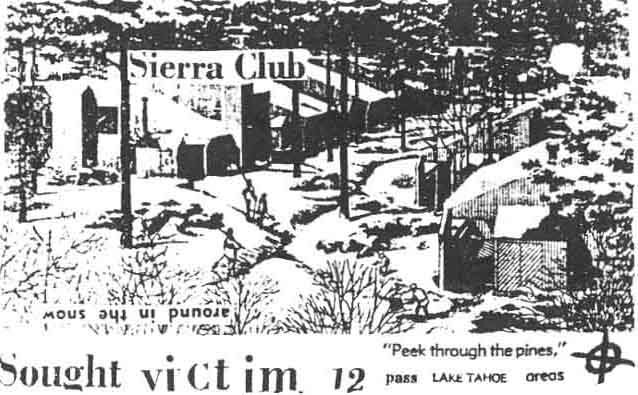 Eric X wrote: what does the sierra club have to do with it? The card itself says 'Sierra Club' on it. Donna Lass worked at Napa State Mental Hospital. Larry Kane spent time at Napa State Mental Hospital. mickeydchicken wrote: Donna Lass worked at Napa State Mental Hospital. Larry Kane spent time at Napa State Mental Hospital. Kane is definitely my top suspect in the Lass disappearance! Sorry, he's not mine. He's like many others. His work starts and stops. Z is a vector. Killed many years before. Killed many years after. Many stopped looking for a superhero that flew away from earth. This was a maniac, psychopath, genius, familiar with mind control and suggestion. He moved north and kept attacking in the early 70's. He zigged when everyone zagged and told everyone he would zag and people still didn't catch it. I can't find reference to it anywhere, but I presume lots of people must have spotted the significance of the road this property is off of ? A bit like the "Eureka" card, he's using references to local place / road names as part of the clue to his message. 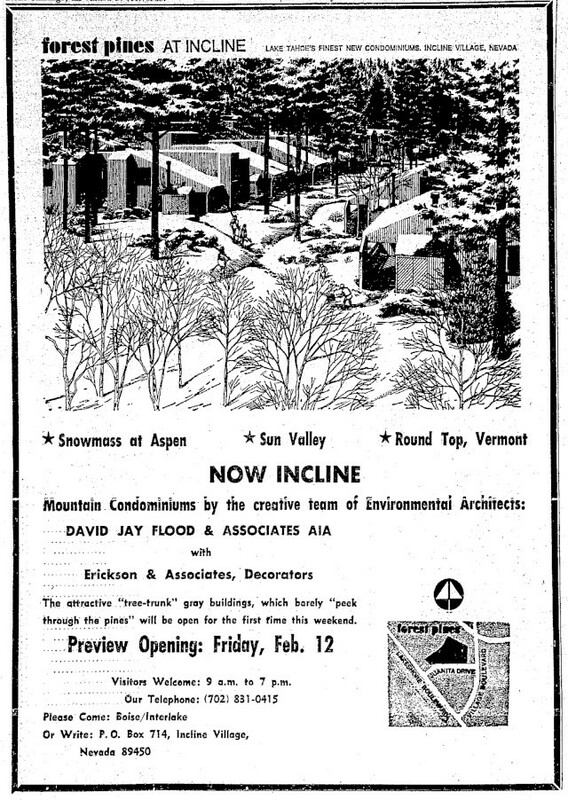 "However the Pines Card depicted an advertisement for the Forest Pines condominiums near Clair Tappaan Lodge, Norden, California, located on Sierra Club property. 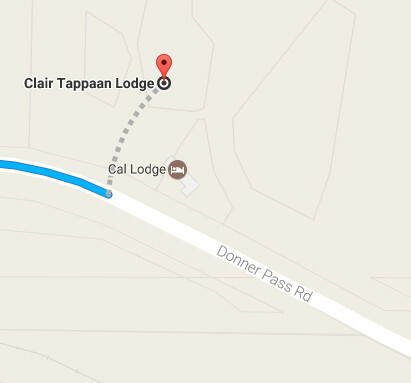 The Clair Tappaan Lodge"
The link in the article leads to the map. Interstate 80, for 95 miles between a junction in Churchill County and Winnemucca before heading north into Oregon at McDermitt. (Taken from Wikipedia). View on Google Maps. Is the info on zodiac cipher's wrong or is this the map location the Pines Card leads to ? If so, it has plenty of Donner (Donna) references. Not sure I follow, but I do not doubt what you're tracking. In fact, just knowing the suspects motives, I would think you are more right than wrong. This is exactly what he would do. Street names follow this man's work for all of his life. Do you know these street names? Bundy drive ? Walsh lane? OdiacXere? There's a literal trail. These are the "games" that the zodiac would play. This would be a joke that the zodiac would make. 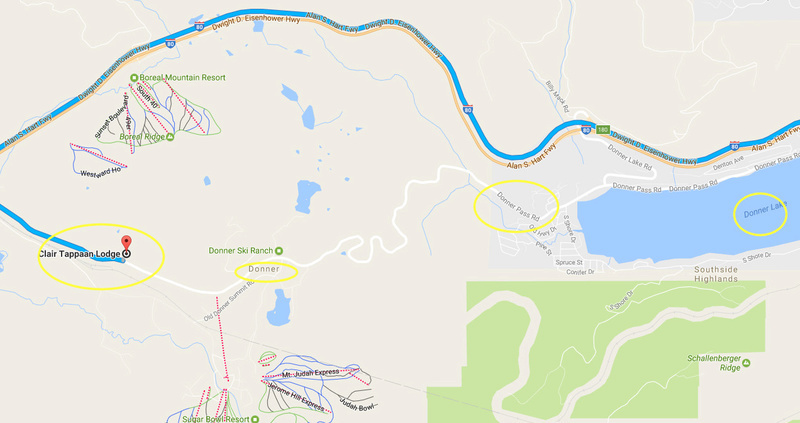 My observation was simply picking up on the point that the Pines Card was sent to the relatives of the murdered Donna Lass and the road on which the Pines Card property is based is Donner Pass. In my opinion, there's no way this is pure coincidence and must be Zodiac word-play games at work. Like I said, surely this must have been spotted ages ago, although I can't find a reference myself.